This event was for a charity founded by Cory Schrieber, my instructor. And I wanted to bring light to it because it is something I love, and think is super cool. 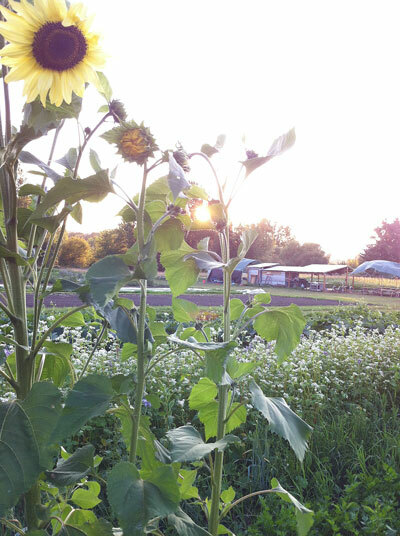 The Sauvie Island Center was created in 2005, and basically educates youth about food, farming, and the land. They bring local kids out to the farm to get their hands dirty to learn all about farming, fruits, veggies, and how it all works. They hold events each year for the charity to bring revenue to the center to allow for this type of invaluable education for our local children. In one word, awesome. This particular event was The Barn Dance. The dinner was held by Bon Appetit’s head chef, sous chefs, and a few of us girls from culinary school. It was hot, perfectly breezy, on a farm, in a barn, and perfect. When we were finished cooking, grilling, serving, and cleaning, the girls and I took a long walk on this huge farm with some lemonade. 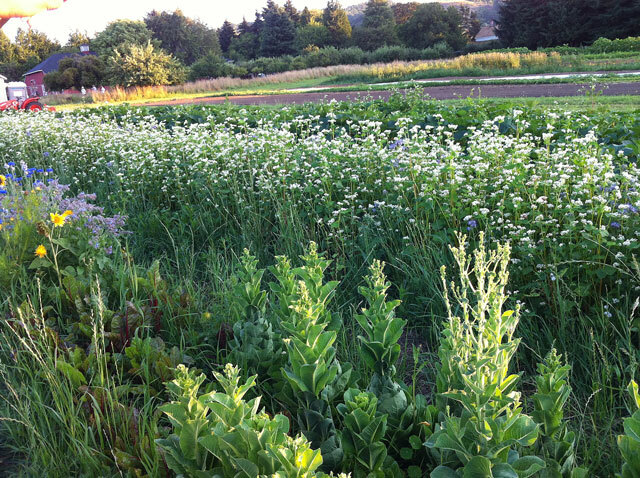 We talked farming, food, and how we would love to live on this land. It was a magical way to end the night. You ladies are awesome! 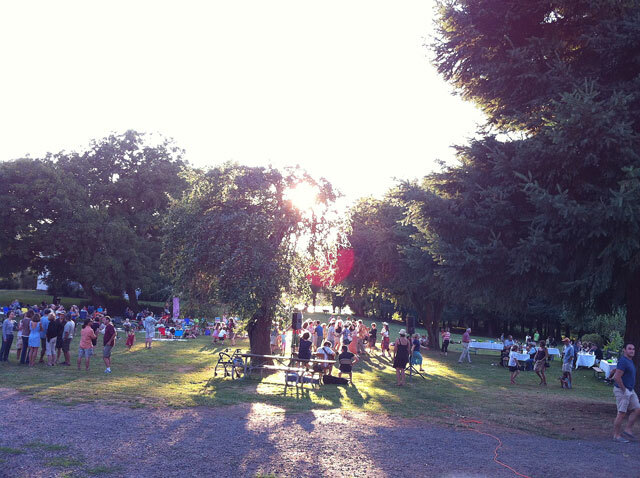 If you are interested in more information about Sauvie Island Center visit their site, and they also takes donations on their website! 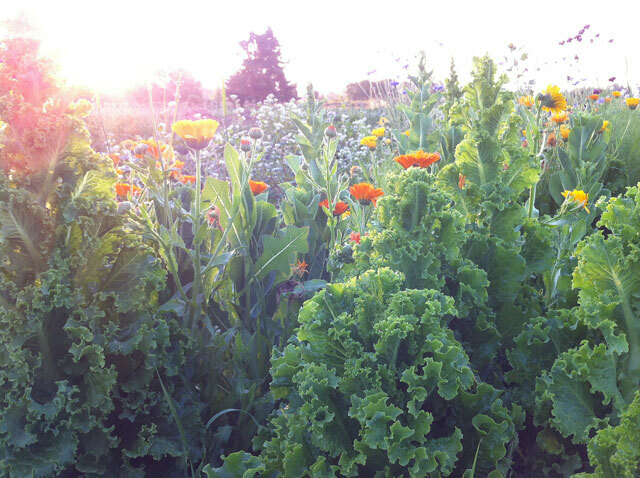 kale, lettuce, kale, more lettuce, flowers, I love it! 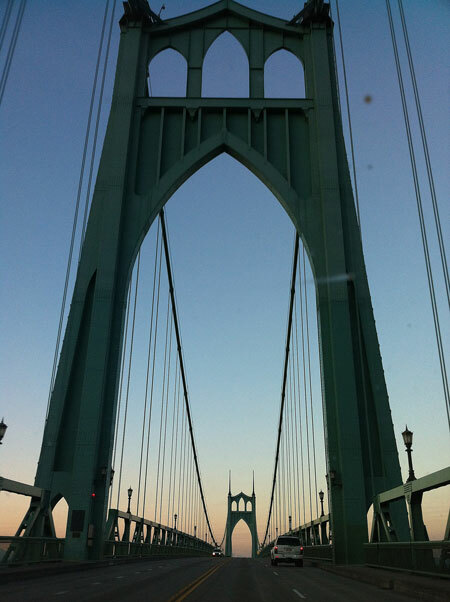 the way home, my favorite bridge in Portland, the city of bridges. 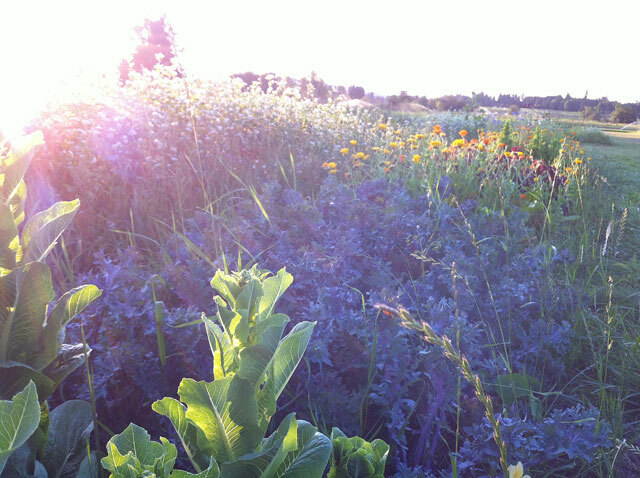 We were just picking berries on Sauvie Island today! It’s such a little gem and so close to our great city 🙂 So nice to “meet” another Portland Foodie Blogger !! I agree! We will have to meet one day:)! That field of flowers is stunning!